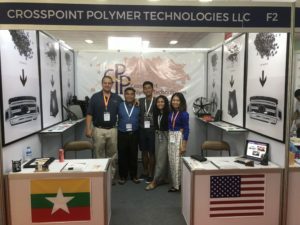 CrossPoint Polymer Technologies participated in the International COMPLAST Complete Plastics Exhibition… We are thrilled to serve new and existing customers in the Southeast Asia Regions, while looking to encourage growth opportunities for Myanmar Commerce. A special thanks to our Myanmar Team for making this possible! Welcome to the New Crosspoint Polymer Tech Website! I’m sure if you made it this far on the site you’ve noticed a few upgrades. If you have any questions please let us know. We are here to serve you.